This is Revell's CH47 Chinook in 1/144 scale. Overall it is a nice kit. 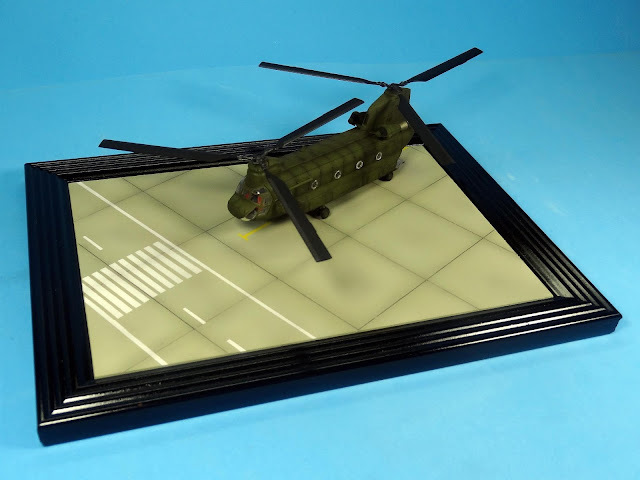 Fit is very good except for the windows. The panel lines were nicely engraved, witch is quite important considering the not very interesting painting scheme. 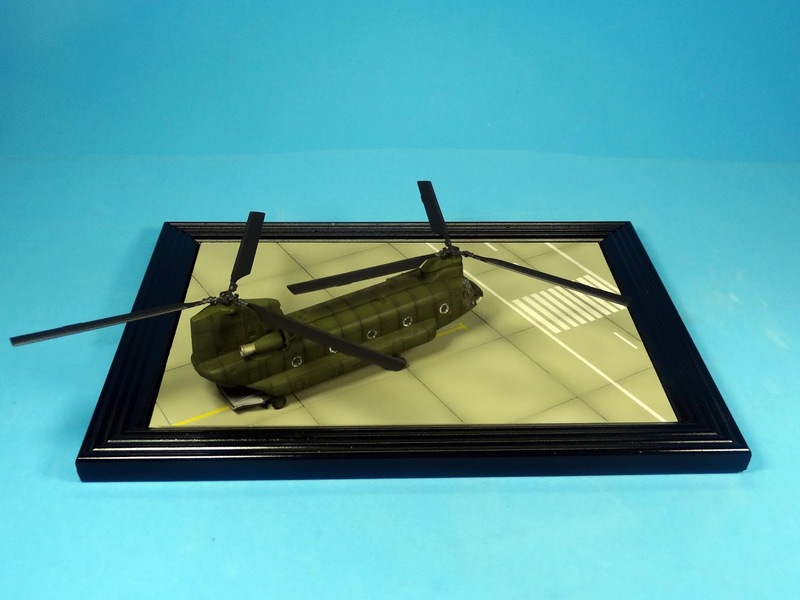 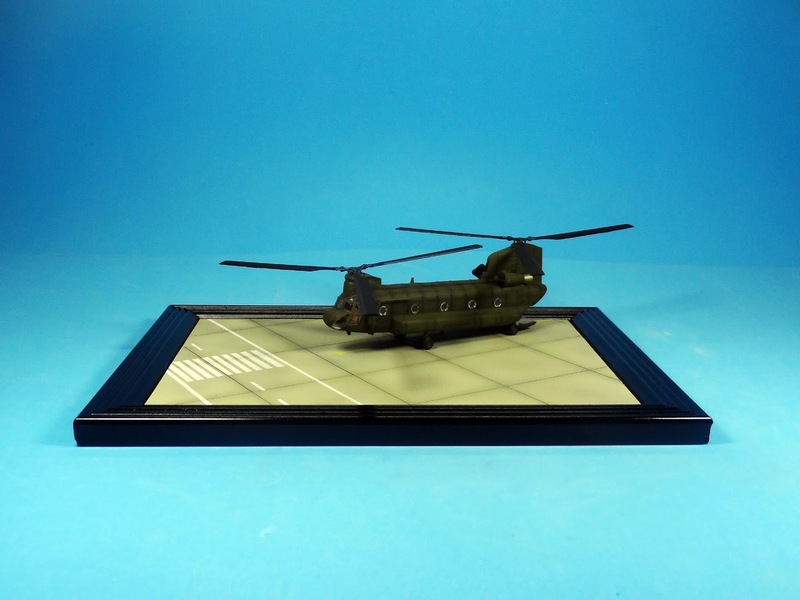 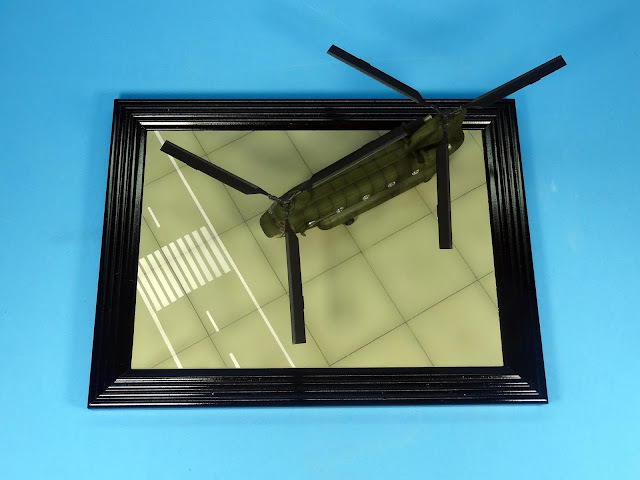 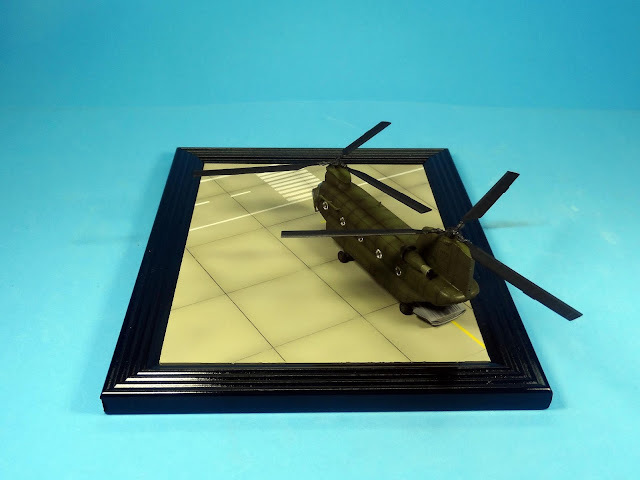 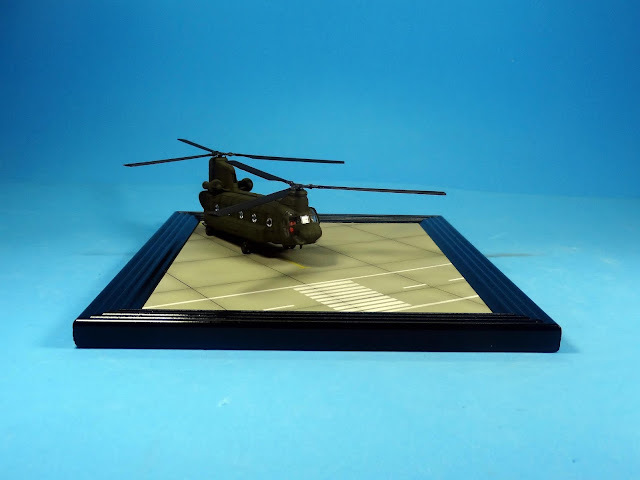 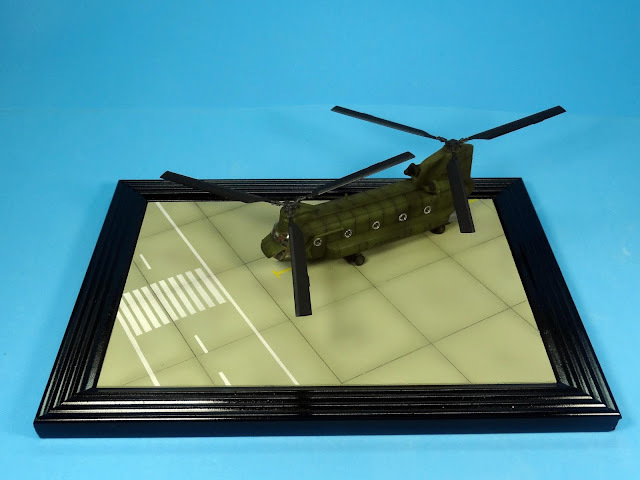 The base is a simple picture frame and plasticard painted to represent a segment of an airfield. 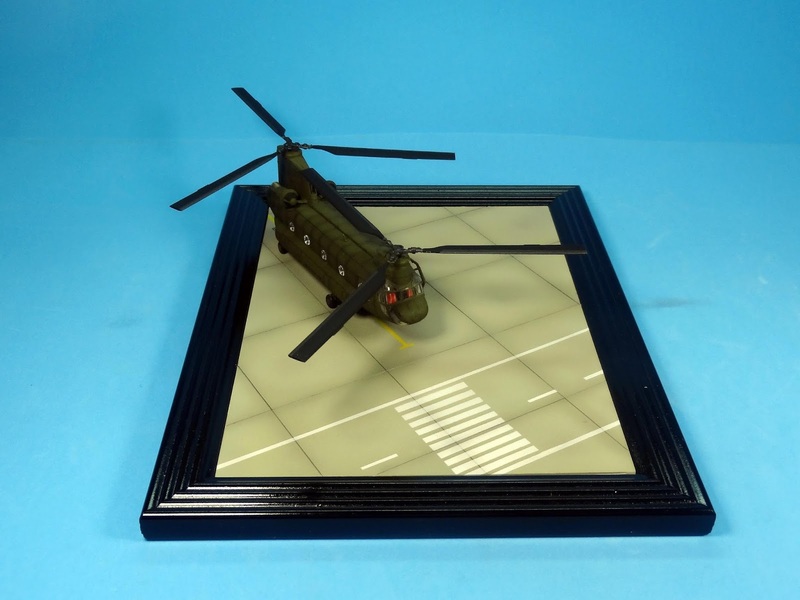 Painting was done with tamiya acrylics and decals are from the kit.